We are one of the leading manufacturer and suppliers of wide range of high Cosmetic Containers. These containers are widely used for storage of cold creams. Our containers prevent the cream from dust, sunlight, and other contamination that have any type of adverse effect on these creams. These containers are uniquely designed to preserve the cold cream’s natural properties. Uniquely design to preserve the cold cream’s natural properties. 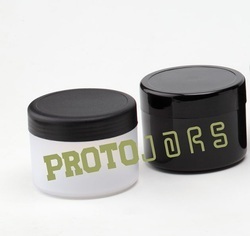 We offer a wide range of Matt Finish Body Butter Jar high-quality to our valuable customers. These containers are widely used for filling of fairness cream suitable for men. These jars can be availed from us at a very reasonable market price. 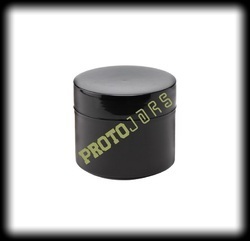 These containers are available with screw caps that are easy to use and keep the creams free from contamination. These containers are manufactured using latest technology machinery and under the supervision of highly qualified professional. 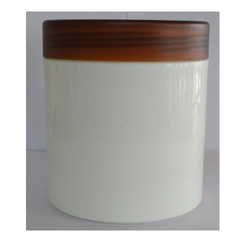 Tr Brown Cap SE 600 White Jar is most popular bulk pack jar for various spa, user-friendly parlor export products. It has a very good user-friendly design. Looking for Cosmetic Container ?